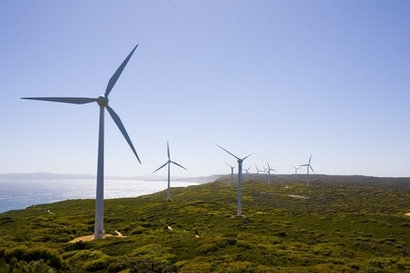 The idea that Australia’s record level of renewable energy investment will continue in the current federal policy void is an exercise in wishful thinking, the Clean Energy Council said in response to reports this week. Clean Energy Council Chief Executive Kane Thornton said a study released by the Australian National University (ANU) is welcome, but the idea that the energy sector will deliver Australia’s entire Paris climate commitments would require renewable energy to maintain or improve on the record levels of activity in 2018. “The reality is that the Federal Government’s current approach to the energy sector is undermining confidence in future investment, which is essential to reduce emissions across the energy sector and the entire economy” Mr Thornton said. “The clean energy sector has the potential to make a huge contribution to reducing both emissions and power bills, as suggested by the ANU. But one of the biggest drivers of investment – the national Renewable Energy Target – has now been achieved. There is nothing to replace it. We need credible bipartisan policy to give investors confidence and to continue the record levels of clean energy investment we are currently seeing. We need investment in the electricity network to most efficiently connect the best renewable energy zones across the country and create more capacity to allow new projects to connect. And we need batteries and pumped hydro storage from private and public projects such as Snowy 2.0 and Hydro Tasmania’s Battery of he Nation”. Mr Thornton added that none of this will happen by accident and that it needs planning, consultation and political leadership. The current lack of federal government climate policy, combined with ad-hoc market interventions, risks squandering the amazing opportunities outlined by the ANU.